KAMPALA – Former Forum for Democratic Change party president Maj Gen Mugisha Muntu has announced that he is leaving the party. 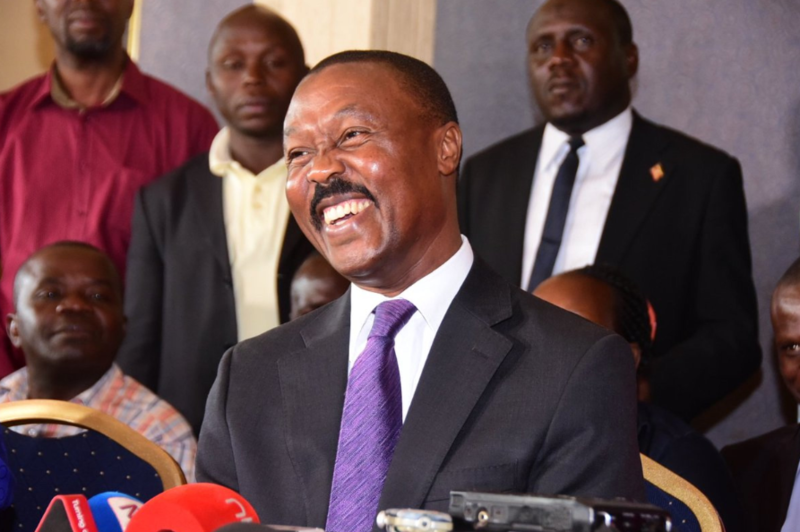 In a statement issued on Facebook, Gen Muntu revealed that he took the decision after eight months of country-wide consultations that started in January this year. “Fellow Ugandans, following our nationwide consultations that were carried out between 15/1/2018 and 7/9/2018, I today [Tuesday] held a meeting with party president of the Forum for Democratic Change (FDC) Hon. Patrick Oboi Amuriat to discuss our findings and resolutions. I hereby would like to inform the country of our decision to leave the FDC with immediate effect. We will be holding a press conference on Thursday the 27th of October 2018 to discuss this and our future plans in detail. God bless you all,” the statement reads. The announcement brings to end months of speculation over the former army commander’s political direction after he lost the FDC party presidency to Mr Amuriat in November 2017. Gen Muntu and Amuriat, who is backed by Dr Kiiza Besigye, have always clashed on the party strategy. Muntu advocates for building of party structures complimented by defiance while Amuriat won the presidency on the strategy of defiance. The decision came after the two leaders held a meeting at Fairway Hotel in Kampala. The meeting was attended by, among others, former party Secretary General Alice Alaso, party elder Sewava Serubiri, the newly elected Arua Municipality MP Kassiano Wadri, Rubaga Division Mayor Joyce Sebugwawo former Party Administrator Wycliff Bakandonda, Kawempe South MP Mubarak Munyagwa and Wakiso party chairperson Caleb Muhanguzi.